Tokyo Station (東京駅, Tōkyō-eki) is a railway station in the Chiyoda City, Tokyo, Japan. The original station is located in Chiyoda's Marunouchi business district near the Imperial Palace grounds. The newer Eastern extension is not far from the Ginza commercial district. Due to its large area covered, the station is divided into Marunouchi and Yaesu sides in its directional signage. Served by Shinkansen high-speed rail lines, Tokyo Station is the main intercity rail terminal in Tokyo. It is the busiest station in Japan in terms of number of trains per day (over 3,000), and the fifth-busiest in Eastern Japan in terms of passenger throughput. It is also served by many regional commuter lines of Japan Railways, as well as the Tokyo Metro network. The station is linked by underground passageways to the Ōtemachi underground (subway) station complex served by the Tōzai, Chiyoda, Hanzōmon, and Mita subway lines. It is also possible to walk to the Nijūbashimae, Hibiya, Yūrakuchō, Ginza, and Higashi-ginza Stations completely underground (the last a distance of over 2 km), but these stations can usually be reached more quickly by train. Tokyo Station is also a major intercity bus terminal, with regular midday service to several cities in the Kantō region and overnight service to the Kansai and Tōhoku regions. (video) A busy Tokyo Station from above, 2017. The main station façade on the western side of the station is brick-built, surviving from the time when the station opened in 1914. The main station consists of 10 island platforms serving 20 tracks, raised above street level running in a north-south direction. The main concourse runs east-west below the platforms. The Shinkansen lines are on the east (or Yaesu) side of the station, along with a multi-storey Daimaru department store. Underground are the two Sōbu/Yokosuka line platforms serving four tracks (five stories below ground level) to the west of the station; the two Keiyō Line platforms serving four tracks are four stories below ground some hundreds of meters to the south of the main station with moving walkways to serve connecting passengers. The whole complex is linked by an extensive system of underground passageways which merge with surrounding commercial buildings and shopping centres. ^ Azusa No. 25 starts service here towards Matsumoto. ^ Kaiji No. 113, 115, 121, 123 starts service here towards Kofu, and Kaiji No. 117, 119 starts service here towards Ryūō. Originally, lines 3 through 10 were numbered as lines 1 through 8 and additional lines were numbered sequentially from west to east through the opening of the Tokaido Shinkansen in 1964. Lines 9 through 13 were used for the Tokaido Main Line and Yokosuka Line but were removed in 1988, and line numbers 12 and 13 were then used for the new Tohoku Shinkansen platform from 1991 to 1997. The current Chuo Main Line platform opened in 1995 as lines 1 and 2, and other lines were renumbered accordingly, leaving lines 10 and 11 unused. The current line numbering became effective in 1997, when one of the Tokaido Main Line platforms was repurposed for the Joetsu Shinkansen as lines 20 and 21. The existing Tohoku Shinkansen platforms were simultaneously renumbered as 22 and 23. In 1889, a Tokyo municipal committee drew up plans for an elevated railway line connecting the Tōkaidō Main Line terminal at Shinbashi to the Nippon Railway (now Tōhoku Main Line) terminal at Ueno. The Imperial Diet resolved in 1896 to construct a new station on this line called Central Station (中央停車場, Chūō Teishajō), located directly in front of the gardens of the Imperial Palace. Construction was delayed due to the outbreak of the First Sino-Japanese War and Russo-Japanese War, but finally commenced in 1908. The three-story station building was designed by architect Tatsuno Kingo (who also designed Manseibashi Station and the nearby Bank of Japan building) as a restrained celebration of Japan's costly victory in the Russo-Japanese War. The building is often rumoured to be fashioned after Amsterdam Centraal railway station in the Netherlands, although there is little evidence to support the opinion. Terunobu Fujimori, a scholar of Western architecture, denies the rumor, having studied Tatsuno's styles as well as the building itself. Tokyo Station opened on December 20, 1914 with four platforms; two serving electric trains (current Yamanote/Keihin-Tohoku Line platforms) and two serving non-electric trains (current Tōkaidō Line platforms). The Chūō Main Line extension to the station was completed in 1919 and originally stopped at the platform now used by northbound Yamanote/Keihin-Tōhoku trains. During this early era, the station only had gates on the Marunouchi side, with the north side serving as an exit and the south side serving as an entrance. In 1921, Prime Minister Hara Takashi was assassinated at the south gates. The Yaesu side of the station opened in 1929. Much of the station was destroyed in B-29 firebombing on May 25, 1945. The bombing shattered the impressive rooftop domes. The station was quickly rebuilt within the year, but simple angular roofs were built in place of the domes, and the restored building was only two stories tall instead of three. These postwar alterations are blamed for creating the mistaken impression that the building is based on the central station in Amsterdam. Plans in the 1980s to demolish the building and to replace it with a larger structure were derailed by a preservation movement. The Yaesu side was also rebuilt following the war, but the rebuilt structure was damaged by fire in 1949, and the Yaesu side was then significantly upgraded with a contemporary exterior and large Daimaru department store. The new Yaesu side facilities opened in 1953, including two new platforms for Tōkaidō Main Line services (now used by Shinkansen trains). Two more platforms opened in 1964 to accommodate the first Shinkansen services. The Yaesu side was partially rebuilt again in 1991 to accommodate the Shinkansen extension from Ueno. A plan was finalized in 1971 to build a Narita Shinkansen high-speed line connecting Tokyo Station to Narita International Airport. The line was envisioned as extending underground from Tokyo to Shinjuku Station, and in order to avoid having the line run under the Imperial Palace, the platforms were planned to be built underneath Kajibashi-dori to the south of Tokyo Station. Construction of the Narita Shinkansen was halted in 1983 after issues in acquiring the necessary land to build the line, but the area set aside for its platforms was eventually used for the Keiyo Line and Musashino Line terminals, which opened in 1990. From July 1987 to 2000 there were a series of regular free public concerts held in Tokyo station. Referred to as "Tokyo Eki Kon" (Tokyo Station Concerts) they were first held as a celebration of the launch of Japan Railways Group as the privatized successor to the state-owned Japanese National Railways. 246 concerts were performed but the popularity waned and the last one was held in November 2000. The event returned in 2004 as the "Aka Renga (Red Brick) Concerts", and held 19 times, but after redevelopment of the station started in earnest the concerts were suspended once again. In 2012, as the reconstruction approached its end, there were calls for the concerts to be held again. The Tokyo Station complex is undergoing extensive development, which include major improvements to the Marunouchi (west) and Yaesu (east) sides of the station. The Marunouchi side underwent an extensive 5-year renovation which was completed in October 2012. The historic 98-year-old Marunouchi side of the station was restored to pre-war condition. The surrounding area converted into a broad plaza extending into a walkway toward the Imperial Palace, with space for bus and taxi ranks. On the Yaesu side, the current multi-story exterior will be replaced by a much lower structure with a large canopy covering outdoor waiting and loading areas, and will connect the newly built GranTokyo North and South Towers at both ends. The high rise office towers will provide additional access to and from the station, and include multi-story shopping areas which will contribute to the station complex. This project was completed in 2013. At present, Tokyo Station is surrounded by high-rise buildings, which offer a view of the cupola and other restored elements of the station. Tokyo station has seen two assassinations on Japanese prime ministers. In 1921, Takashi Hara was stabbed to death by an ultra-rightist in front of the south wing as he arrived to board a train for Kyoto. 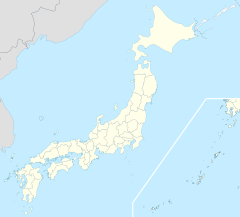 In 1930, Osachi Hamaguchi was shot by a member of the Aikokusha ultra-nationalist secret society. He died of the wounds in August the following year. 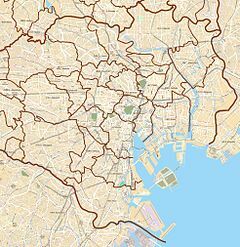 There was a proposal to build a spur to Tokyo Station from the nearby Toei Asakusa Line, which would provide another connection to the subway network, and also possibly provide faster connections from the station to Tokyo's airports, Haneda and Narita. The plan has yet to be formally adopted. Authorities are re-considering a similar plan as part of the infrastructure improvements for the 2020 Summer Olympics; the proposed line would cut travel time to Haneda from 30 minutes to 18 minutes, and to Narita from 55 minutes to 36 minutes, at a total cost of around 400 billion yen. There are also plans to extend the Tsukuba Express from Akihabara to Tokyo. In September 2013, a number of municipalities along the Tsukuba Express line in Ibaraki Prefecture submitted a proposal to complete the extension at the same time as the new airport-to-airport line. In fiscal 2013, the JR East station was used by an average of 415,908 passengers daily (boarding passengers only), making it the third busiest station on the JR East network. Over the same fiscal year, the Tokyo Metro station was used by an average of 181,208 passengers daily (both exiting and entering passengers), making it the tenth-busiest Tokyo Metro station. The passenger figures (boarding passengers only) for the JR East (formerly JNR) station in previous years are as shown below. Other stations within walking distance of Tokyo station include the following. Tokyo Station has "sister station" agreements with Amsterdam Centraal railway station in the Netherlands, Grand Central Station in New York, USA, Beijing Railway Station in China, Hsinchu Station in Taiwan, and Frankfurt (Main) Hauptbahnhof in Germany. ^ 各駅の乗車人員 (in Japanese). East Japan Railway Company. ^ a b Watanabe, Hiroshi (2001). The architecture of Tokyo. Axel Menges, Stuttgart/London. p. 83-84. ISBN 3-930698-93-5. ^ "東京駅の京葉線、なぜ遠い？近道は有楽町 成田新幹線構想を再利用". 日本経済新聞. 4 February 2014. Retrieved 4 February 2014. ^ "Google map and interactive Street View photo of street outside Tokyo Station entrance". Geographic.org/streetview. Retrieved 2015-12-17. ^ 都営浅草線東京駅接着等の事業化推進に関する検討 調査結果のとりまとめ Archived 2007-08-24 at the Wayback Machine, May 2003. ^ "羽田・成田発着を拡大、五輪へインフラ整備急ぐ" [Race to increase slots at Haneda & Narita and build infrastructure for Olympics]. Nihon Keizai Shimbun. Nikkei Inc. 10 September 2013. Retrieved 10 September 2013. ^ "ＴＸ東京駅延伸で茨城の沿線自治体市議会が意見書". 日本経済新聞. 21 September 2013. Retrieved 24 September 2013. ^ a b 各駅の乗車人員　（2013年度） [Station passenger boarding figures (Fiscal 2013)] (in Japanese). Japan: East Japan Railway Company. Retrieved 31 August 2014. ^ 各駅の乗降人員ランキング [Station usage ranking] (in Japanese). Tokyo Metro. Retrieved 31 August 2014. ^ a b c 日本国有鉄道停車場一覧 [JNR Station Directory]. Japan: Japanese National Railways. 1985. p. 480. ISBN 4-533-00503-9. ^ 各駅の乗車人員　（2000年度） [Station passenger figures (Fiscal 2000)] (in Japanese). Japan: East Japan Railway Company. Retrieved 2 July 2013. ^ 各駅の乗車人員　（2005年度） [Station passenger figures (Fiscal 2005)] (in Japanese). Japan: East Japan Railway Company. Retrieved 2 July 2013. ^ 各駅の乗車人員 (2010年度) [Station passenger figures (Fiscal 2010)] (in Japanese). Japan: East Japan Railway Company. Retrieved 2 July 2013. ^ 各駅の乗車人員　（2011年度） [Station passenger figures (Fiscal 2011)] (in Japanese). Japan: East Japan Railway Company. Retrieved 2 July 2013. ^ 各駅の乗車人員　（2012年度） [Station passenger figures (Fiscal 2012)] (in Japanese). Japan: East Japan Railway Company. Retrieved 31 August 2014. ^ "Tokyo Station to get a sister station in Taiwan". The Japan Times. Japan: The Japan Times Ltd. 10 February 2015. Retrieved 12 February 2015. ^ "Tokyo and Frankfurt Central become sister stations". The Asahi Shimbun Asia & Japan Watch. The Asahi Shimbun Company. 26 September 2015. Archived from the original on 2015-09-27. Retrieved 29 September 2015. Wikimedia Commons has media related to Tokyo Station. Stations served only by the Chiyoda Line through service local trains between Kita-Senju and Abiko are omitted. This page was last edited on 17 April 2019, at 16:10 (UTC).